At least one-year experience in monitoring and evaluation of community related projects. Possessing a driving license is a plus. 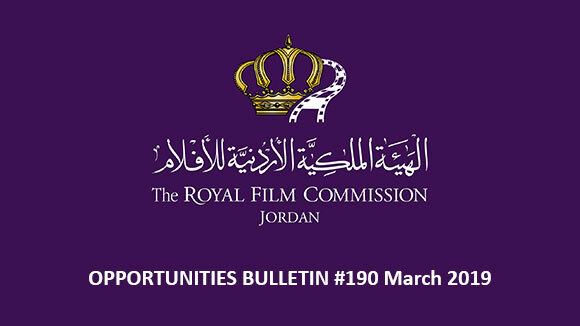 Please send your application to the following email: recruitment@film.jo no later than 31 August 2016, and indicate clearly in the subject of your email the title of the position you are applying for. Assist Manager in planning, designing, developing and delivering training for different participants. Assist in establishing film centres in various communities, schools and other institutional venues. Develop educational materials and manuals for training programs. Assist Manager in drafting and implementing a medium/long-term strategy to develop filmmaking capacities through training and workshops. Oversee all the workshops and training modules, held at the RFC or in cooperation with it. Assist Manager in developing and maintaining a network strategy with all universities, colleges, schools, and the graduate filmmakers in Jordan and abroad. Manage budgets, and ensure financial accountability and adoption of the best value approaches. Consult with Manager on the content of the training and workshops. Supervise work of staff and report back to Manager to ensure quality of outputs. Effectively monitor and evaluate work of staff and deliverables. Coordinate and liaise with other departments at the RFC, assisting Manager in contributing to the overall objectives of the Commission. Represent Manager in film-related activities and forums whenever required. Any other tasks requested by the Manager. At least three years-experience in community projects and field-based programmes. The Karama HRFF was established in June 2009, sensing the need for human rights dialogue and advocacy in the Arab region. The main theme for the KHRFF is human rights in general: children, women, refugees, political, economic, social and civic rights, and the role of films and culture in creating social and political change. The festival’s core theme is human dignity (Karama is Arabic for dignity). The Real and the Surreal: Normalizing Human Rights Violations in the Globe. Films must be completed after January 2014. Films from all genres and lengths are accepted. The deadline for entries is 15 August 2016. 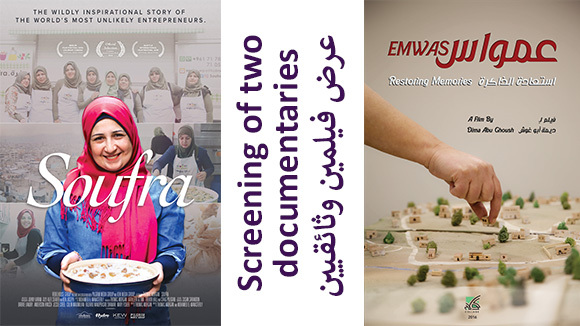 The BBC Arabic Festival screens short films and documentaries about the dramatic social and political changes taking place in the Arab world today. The festival seeks a bold and diverse range of filmmaking from across the Middle East, by Arab and non-Arab, professional and amateur filmmakers. The festival runs as a competition, judged by a panel of journalism and film experts and practitioners, who will present an award to a winner in each category. BBC Arabic offers the Young Journalist Award to a non-fiction filmmaker aged 18 to 30. The Award comprises of a programme of bespoke training, mentoring and equipment. There is also the potential for their next project to be aired on BBC Arabic TV and presented by them at the next Festival. This year, BBC Arabic Festival will introduce for the first time an award dedicated to the overall Best Work in Journalism to a non-fiction submission. The official selection of the 3rd BBC Arabic Festival will be announced in February 2017. Submissions are now open for the 2017 BBC Arabic Festival. If you are a film or documentary maker, producer, journalist or a member of the public – professional or non-professional and have made a piece of work (a film, documentary or journalism piece) that explores key issues in the Arab world today, then the BBC would like to hear from you. We encourage professionals and non-professionals alike. The festival will take place at the iconic art-deco Radio Theatre in central London, March 24 to 30, 2017. The winners of each category will be announced during the televised Awards Ceremony on March 30, 2017. Each film can only be submitted to one category. 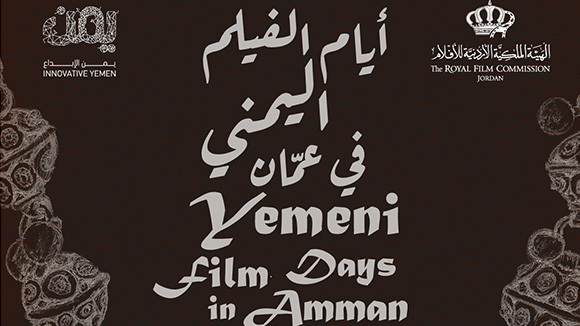 The festival reserves the right to refuse films that are admitted in more than one category or change the category if the film is not compliant with the criteria. In compliance with this year's theme, the festival is seeking films with a social, cultural or political subject focusing on the politics of power in the Arab world since the uprisings. Rather than production value, the festival will be looking at the willingness and courage to help expose stories that are underreported. Films must have been made after January 1, 2015. Special nomination is for the BBC Arabic Young Journalist Award, given to a non-fiction filmmaker between 18 and 30 years old. Special nomination for the Best Work in Journalism for a non-fiction film from the Official Selection. 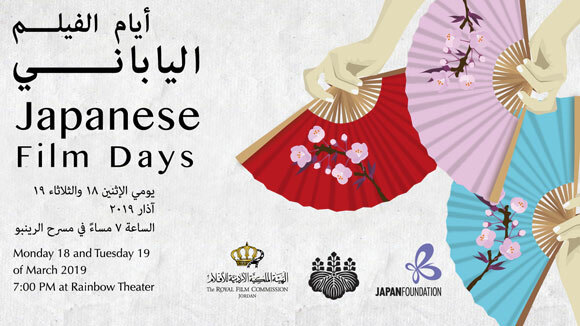 A chosen selection of the Festival programme will also receive an invitation to air on BBC Arabic TV. The deadline for submissions is 30 September 2016 at 11:55 pm. The Apulia Film Commission Foundation introduces the seventh edition of the Euro-Mediterranean co-Production Forum, taking place in Trani-Italy on 27th-28th-29th October 2016. The 7th edition will present two new sections: Italian and Foreign. The Italian section is aimed at audio-visual projects by national producers who are seeking out foreign co-producers. The Foreign section is for audio-visual projects by producers from any country looking for Italian co-producers or Italian executive producers. If the project is selected, the main producer will be invited, covering all the hospitality costs (roundtrip air ticket, hotel accommodation, meals, local transfer). The attendance of the main producer is required for the whole period of the Forum, arriving in Trani on October Wednesday 26th evening and returning on Sunday 30th morning. All the selected projects will be presented by their producers with the “one to one meetings” formula, scheduled for those who could be interested. The evaluation results will be published on the website www.forum.apuliafilmcommission.it by Monday 19th September 2016. From 1 July till 15 August 2016, Roberto Cimetta Fund is collaborating with Valletta 2018 to promote and encourage mobility within the Arab geographical zone, more precisely the euro-Arab exchanges. Together, they have launched a funding line supporting mobility of Arab and European artists and cultural operators from and to Malta. Artists and cultural operators living and working in Malta, in Europe or in the Arab geographical zone and developing projects linked to Malta can thus benefit from travel grants to undertake their projects. In the frame of this call, artists from the Arab geographical zone are highly encouraged to apply. Artists who are developing a cooperative artistic project addressing one of these four themes: Generations, Islands, Routes and Cities are encouraged to submit. Artists who are developing a project in the Arab region that is linked to Malta are encouraged to submit. The deadline for submissions is 15 August 2016. Celebrating world-class horror films and the filmmakers who terrify, disgust, and disturb us on October 1-31 2016. Winners for each category are determined by the audience votes and the average voter rating for the film in each category. The top three films by audience vote will be submitted to the Festival’s Jury who will rank, critique, and award the Grand Prize. The Festival Administrators in their sole discretion will award the Skin Crawler Award. The deadline for submissions is 31 August 2016. The team from Festival International du Film de Bruxelles (FIFB) is pleased to announce that the 2016 edition of the new Brussels festival will take place from November 19 to 25. This year, the Festival International du Film de Bruxelles will pay a tribute to the Japanese cinema. The FIFB aims to offer its own International Film Festival in Brussels, like other major cities in Belgium, Europe or Worldwide. A festival opens to the world, in line with the new cinematic trends, eclectic in its programming while keeping an eye for auteur cinema, for exclusivities and favorites. Young talent competition (movies made by final-year film students). In the competition all feature, medium and short films can participate as long as they are completed after the 1 January 2016. The films must be Belgian, European or World Premieres. Format: DCP (Digital Cinema Package). Obligatory registration via the online form. The Film4Climate Global Video Competition is the centrepiece of the Connect4Climate initiative to promote sustainability in the creative industries through active engagement with young people in finding solutions to climate change. The winners, selected by a jury chaired by Bernardo Bertolucci, and including other prominent directors, producers, writers and political leaders, will be announced at a high-profile awards ceremony at the United Nations COP22 Climate Summit in Marrakesh, Morocco in November. The winning entries will receive cash prizes of $8,000, $5,000, and $2,000 for first, second and third place in each of two categories: an under one-minute Public Service Advertisement (PSA) or a Short Film up to five minutes. 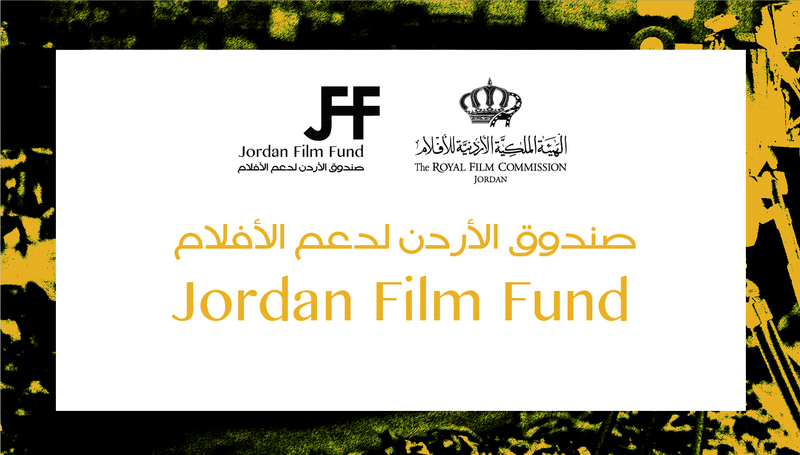 Participants submitting films to the competition must be between 14 to 35 years old. The contest is open to individuals and teams. There is a maximum limit of five members for any team. Video entries must be either a Public Service Advertisement (PSA) less than 1 minute in length, or a Short Film, between 1 to 5 minutes long. All genres are accepted that have a climate change narrative. Video submissions must be created by and owned by the participants and uploaded as a single file in the highest quality, but no larger than 1 GB. Videos may be recorded in any language, but English subtitles are highly encouraged. In the short description of the film add the location and how it relates to one or more of the Sustainable Development Goals. Winners will be selected by an External Jury composed of esteemed film directors and communication professionals, including those working in the field of film, arts, and/or the environment. Content clearness and effectiveness of the video in narrating a story about climate change, promoting action, and/or offering new solutions. Technical expertise quality of the camera and audio work, effectiveness of the editing and strength of the script. Innovation, originality, and impact telling a climate story in a fresh and unusual way, appealing to a broad and diverse audience, and encouraging further thought and action. You hereby agree to be bound by the regulations of the Film4Climate Global Video Competition. You have legal right to represent and submit your video to the Film4Climate Global Video Competition. Connect4Climate and the Film4Climate Global Video Competition will not be held responsible for any legal disputes regarding the exhibition of your video. Created in 2010, the China Short Film Festival (CSFF) is held with a goal of awarding excellent new media short films in China and abroad, scouting and supporting film and television talents, incubating premium film and television creative projects, and facilitating the development of new media video industry and international cultural exchange and cooperation. 4. Video quality: High definition 720 p (1280*720) and above, H 264 video codec is preferred. Short films conveying innovative ideas are encouraged. 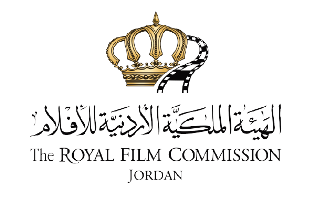 The Organizing Committee will invite international film critics to select the top 20 short films to be displayed at the “International Short Film Screening of CSFF Committee Juries' Choice." The screening will be held in Shenzhen from November 25 (Friday) through November 30, 2016 (Wednesday) and will be attended by the nominated short film directors. From the works to be screened, the Organizing Committee will select one best director for the "CSFF Short Film Creation Supporting Program" and award the winner supporting fund worthy of RMB 300,000 Yuan (around 45,000 USD). You can submit as many quality short films as you can. You can log in on the CSFF official website (http://www.csff.online), click International Short Film Online Trading Platform, and create an exhibitor account and follow the instructions to submit your works. You can also submit your works to our festival by Shortfilmdepot system.